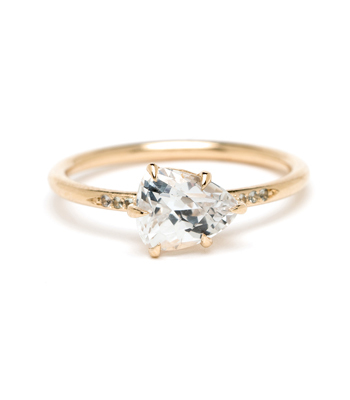 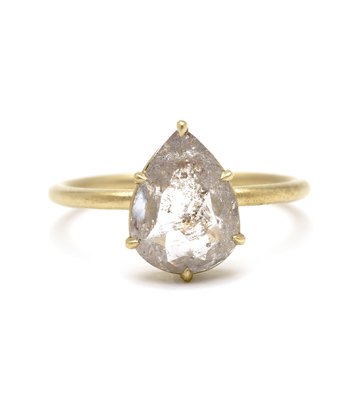 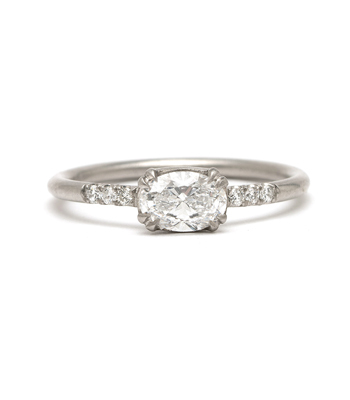 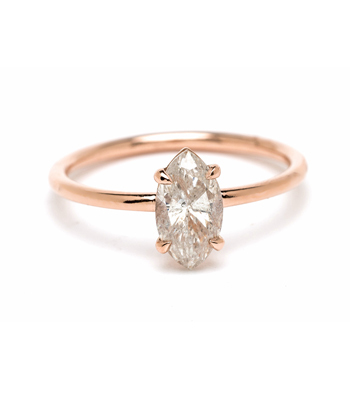 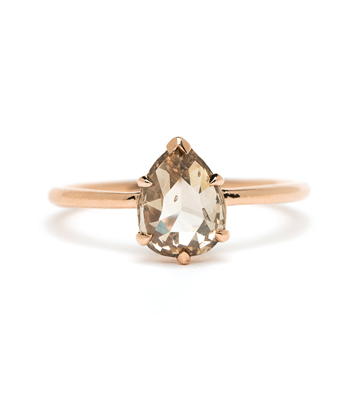 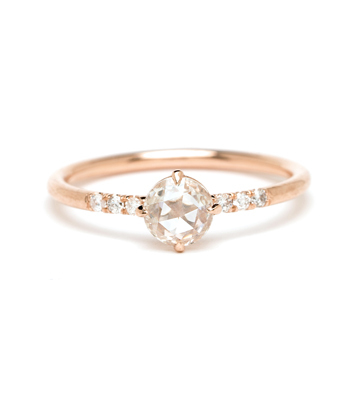 As cool as it is classic, this diamond engagement ring style was designed with understated simplicity in mind. 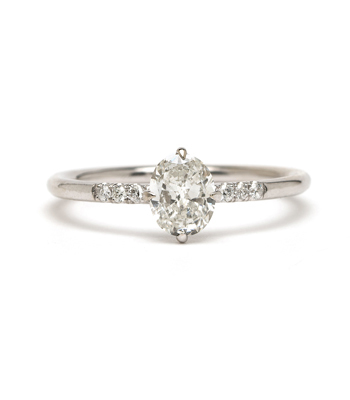 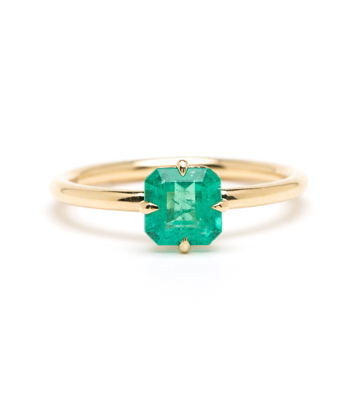 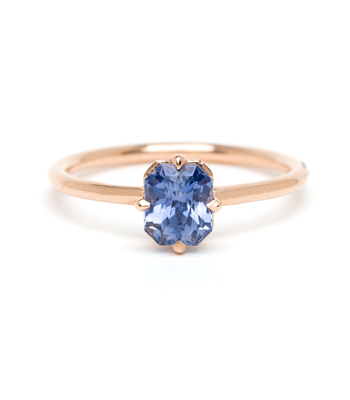 The center stone is elegantly set in a prong setting, positioned low on a rounded band. 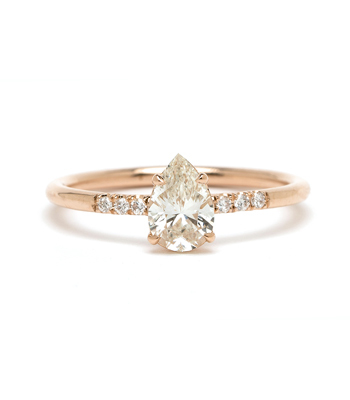 Opt for three tiny diamond accents, diamonds half way along the band, or a smooth gold band for the perfect finishing touch. 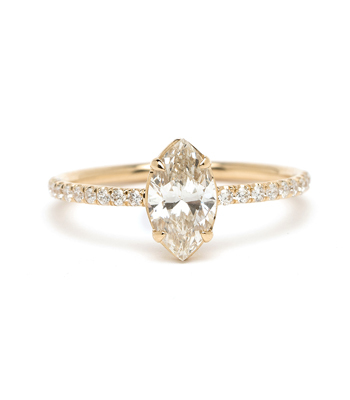 This design was created for a Timeless Glamour bride who appreciates a twist on tradition.